Conferenceseries cordially invites participants from all over the world to attend 9th World Congress on Green Chemistry and Technology, scheduled during September 17-19, 2018 at Amsterdam Netherlands mainly focused on the theme “Catalyzing Innovative Technologies and Valuation Approaches in Green Chemistry for a Sustainable Tomorrow”. Green Chemistry Conferences aims to bring together chemists, researchers, chemical engineers and scientists from other disciplines and shows that interaction and collaboration can lead our society towards sustainability through Green Chemistry and Technology. Euro Green Chemistry 2018 conference is also an interdisciplinary platform for researchers, practitioners and educators to present and discuss with global environmental problems and the recent advances and trends as well as practical challenges and providing sustainable solutions adopted in the fields of Green Chemistry and Technology for a sustainable tomorrow. 9th World Congress on Green Chemistry and Technology includes use of chemical principles, science and technology to advance society in ways that are benign to the environment and sustainable for the foreseeable future. Euro Green Chemistry 2018 will focus on many thought-provoking scientific sessions and covers all frontline topics in Green Chemistry which includes Green Chemical Reactions, Green Solvents, Green Catalysis & Biocatalysis, Environmental Chemistry and Pollution Control, Green Analytical Chemistry, Green Technologies in Food Production & Food Processing, Green Polymerization Methods, Green Chemical Engineering, Cleaner production and Green Nanotechnologies, Waste Valorization Techniques, Green Polymers, Sonochemistry, Green Energy & Renewable Resources, Green Engineering, Green Manufacturing, Green Materials, Biomass and its Conversion technologies, Life Cycle Assessment and Environmental Sustainability, Novel Activation Methods, Green Economy and applications in different industries and many more. In the coming years Green Chemistry is known as a specific field of science and technology. Sustainability is a concept which is used to differentiate methods and processes that can ensure the long-term productivity of the environment, so that even following generations of humans can live on the planet. Sustainability has environmental, social, and economic dimensions. The main focus is to design the entire life cycle of a chemical product from the design process, manufacturing, use, and final disposal in a way that reduces the use or creation of hazardous substances. The conference also includes Keynote sessions by prominent personalities from around the globe in addition to both oral and poster presentations. On behalf of Euro Green chemistry 2018, we are glad to invite contributions from the enthusiastic academicians, industrialists, teachers, and scientists to organize International Symposiums/Workshops that are both empirical and conceptual in exploring new magnitudes of green chemistry and technology challenges for a sustainable tomorrow. · Conferences provide a great opportunity for networking for future collaborations where most people can help each other uncover ideas and spark inspiration. Directors, Presidents, Industrial Experts, Business Intelligence Experts, CEO’s from companies, Scientists, Research Associates, Vice Presidents, Manufacturers, Brand Marketers, Advertising Agency Executives, Professors and Students from Academia. Green chemistry competently utilizes raw materials, eliminates waste and avoids the use of toxic and/or hazardous reagents and solvents in the manufacture and application of chemical products. The concept is exemplified with 12 Principles of Green Chemistry. Green chemistry reports the environmental impact of both chemical products and the processes by which they are produced. Green chemistry reduces waste at source, i.e. it is primary pollution prevention rather than waste remediation. The field of "green technology" encompasses a continuously evolving group of methods and materials, from techniques for generating energy to non-toxic cleaning products. Applications of green chemistry include the use in pharmaceutical industry, along with new methodologies that decrease or eliminate the use of solvents, or render them safer and more effective. Green chemistry has also motivated numerous ways to synthesize petroleum-based chemicals from biological materials instead, regularly plant matter or waste. 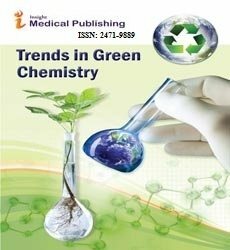 Green chemistry has different industrial applications in Designing Safer Chemicals Production, Food & Flavor Industry, and Green Technologies in the Pharmaceutical Industry, Paper & Pulp Industry, Polymer Industry, Sugar & Distillery Industries, Textile and Tannery Industry and Green Chemistry in Agrochemicals. Green chemistry also plays an important role in alternate energy science, and the production of novel methods to make solar cells, fuel cells, and batteries for energy storage. Self-assembling molecules uses bio-based plant materials which also involves green chemistry principles. The main goal of green chemistry is to reduce or eliminate waste in the manufacture of chemicals and its allied products, which has inspired the design of green next generation catalysts. Other developments in green chemistry are the trend toward redesigning chemical products to reduce their risk. In Pharmaceutical Industry : Chemical industries have been influenced by Green Chemistry and Engineering principles. The pharmaceutical industry is very responsive to these greener industrial alternatives. The pharmaceutical industry is embracing more and more green processes and innovative technology operations in research departments of many drug manufacturers are advancing new green methodologies, biocatalysis reactions, less solvents and cuts in waste production, and at the same time introduced safety and health regulations to protect their workers. In Agrochemicals: Chemically synthesized agrochemicals are harmful to the environment as they are non-biodegradable and are produced by environmentally unfriendly processes. They also affect human and animal health by entering through the food chain. Therefore, to successfully reap the benefits of crop protection products without compromising the environment and human health, going forward, it is essential that producers and users of crop protection products to focus the following elements: 1. Shift to green chemistry manufacturing processes 2. Develop "green" agrochemicals 3. Use crop protection products judiciously. The Agrochemical Industry is witnessing a gradual shift towards implementation of green practices. In Polymer Industry: Polymer reaction engineering is a prime target for transformation towards greater sustainability. This transformation is being made possible via the 12 principles of green chemistry. Enormous opportunities from the replacement of solvents to the use of less toxic monomers in polymer production. The use of renewable feedstocks is a highly active area of research, despite limitations to the supply of these feedstocks. Achieving the use of safer solvents and reaction conditions also appears to have elicited significant research effort. In Textile Industry: The textile industry is reflected as the most ecologically unsafe industry in the world. Recently different steps have been taken to make textile processing greener. These include use of greener fibres, greener solvents, eco-friendly, greener dyes and auxiliaries, optimised and efficient processing, bio-processing, recycled textiles, biodegradable surfactants, greener preparation and dyeing, eco-friendly flame retardants, water and chemicals and elimination of hazardous chemicals. In paper and textile industry, efforts are being made to develop new greener techniques, which results in reduction in water usage, time, and energy in textile processing. In Food Industry: A number of developed countries have developed and adopted a strategy of sustainable development in food industry as well as solutions for strengthening sustainable technologies in food production and processing. Zero emission concept case studies are related to sustainability food industry. Green solvents are environmentally friendly solvents, which are derived from the processing of agricultural crops. The most common green solvents are water, supercritical carbon dioxide, and room temperature ionic liquids. Deep eutectic solvents (DES) are being explored as potential green solvents for organic reactions. Green solvents are generally derived from renewable resources and biodegrade to innocuous. Some regularly used green solvents are Methanol, nitromethane, acetone, ethanol, DMF, DMSO, HMPA, acetonitrile, pyridine, ammonia etc. Catalysis is the key to sustainability. Catalyst is a matter that hastens a chemical reaction. The application of catalysis to decrease toxicity and renewable energy systems, and efficiency makes it a centre area for green chemistry research. Green and sustainable catalyst should possess higher activity, higher selectivity, efficient recovery from reaction medium, recyclability, cost effectiveness. In recent times the development of catalysts for processes to replace conventional ones has made a significant involvement to the reduction of environmental pollutants. So, there is an increasing interest on the topic of green catalysis recently. It not only comprises emerging new catalysts which can offer stable, highly effective catalytic performances, but also considers the application of environmentally friendly catalyst preparations. Some of them are nanocatalysts, perovskite type catalysts and green catalysts are used in different types of advanced oxidation processes. Environmental chemistry may be defined as the study of the reactions, sources, transport, effects, and fates of chemical species in water, air, soil, and living environments, and the effects of technology. Environmental chemistry is a branch of chemistry, containing features related to organic chemistry, physical chemistry, analytical chemistry, and inorganic chemistry as well as more diverse areas, such as public health, biochemistry, toxicology, and epidemiology. Environmental chemistry is the study of chemical processes happening in the environment which are impacted by mankind's activities and the impacts may be felt through the presence of air pollutants or toxic substances from a chemical waste site, or through depletion of ozone layer which may affect global warming. The present environmental issues leads to the remediation of environmental media, and to new, low energy, low emission, and sustainable processes. Environmental chemistry explains concerning the pollution of air, water, food and living organisms by toxic metals, soils, fossil fuels, pesticides and organic pollutants. Green chemistry enlightens novel chemical reactions which are environmentally friendly and controls the pollution. The objective of green analytical chemistry is to use analytical procedures that generate a smaller amount hazardous waste and that are safer to use and more benign to the environment. Miniaturisation of analytical devices and shortening the time elapsing between performing analysis and obtaining reliable analytical results are important aspects of green analytical chemistry. Solvent less extraction techniques, the application of alternative solvents and supported extractions are considered to be the key approaches complying with green analytical chemistry principles. Green analytical techniques include Capillary Electrophoresis, Green Analytical Atomic Spectroscopy, Green Bioanalytical Chemistry, Green separation techniques, Green Chromatography, Green Instrumental Analysis, Green Sampling Techniques, and Green Electroanalytical Methods etc. Green food production often suggests organic farming practices a few centuries ago. This type of farming uses a small area of land for crops and another area for grazing beef, sheep, and goat. Farm entities were almost always self-sufficient with no use of pesticides or herbicides and the only fertilizer used was manure. Organic farming suits the notion of a green technology. Primary, secondary, and tertiary processing techniques are discovered to transform raw produce into value-added foods and ingredients. Primary processing techniques such as cleaning, grading, dehulling, sorting, and milling are used as initial step in processing most of the grains. One of the most promising technological approaches to decrease environmental footprint in food processing is the use of enzymes. As biological catalysts, enzymes speeds up reaction rates and results in savings in terms of time, energy, and cost. Food enzymes provide advantages in terms of specificity, sensitivity, their relative non-toxicity, high activity at low concentrations, and ease of inactivation. Enzymatic approaches entail milder treatments and/or mild reaction conditions, thus are more environmental friendly and would protect the environment better compared to traditional methods. The use of polymers is increasingly more common for many applications in modern society; polymer science is able to make diverse contributions to the rapidly growing field of green chemistry. Polymer science offers manifold possibilities for the sustainable use of renewable raw materials. Creating sustainable polymers represents a diverse effort to utilize a broad range of renewable resources such as lignin, triglycerides, polysaccharides, monoterpenes, furans, lactides and natural rubber. Designing polymers and developing polymerization processes that are safe, prevent pollution, and are more efficient in the use of materials and energy is an important topic in modern chemistry. Today, green polymer research can be seen increasingly in academia and industry. It tackles all aspects of polymers and polymerization - everything from chemical feed stocks, synthetic pathways, and reaction media to the nature of the final polymer as related to its inherent nontoxicity or degradability. Green chemical engineering is considered as efficient means of achieving sustainable development in chemical industrial processes. It can be divided into two main categories like Green product engineering and Green processes engineering. Green product engineering states to the engineering design, development, and changeover to manufacturing of green chemical products, or to the manufacturing of products through green production processes. Green product engineering usually deals with issues related to cost, producibility, quality, performance, reliability, intended lifespan etc. Green process engineering emphases on the design, operation, control, optimization, and intensification of chemical, physical, and biological processes for sustainable development. Researchers in this field strive to solve scientific problems in resource-efficient conversion and process upgrades in order to create inventive and original technology platforms for the development of clean industrial processes. Green nanotechnology can influence the proposal of nanomaterials and products by reducing pollution from the production of the nanomaterials, taking a life cycle approach to nanoproducts to estimate and diminish where environmental impacts might occur in the product chain, designing toxicity out of nanomaterials and using nanomaterials to treat existing environmental problems. Green nanotechnology has built on the principles of green chemistry and green engineering. To one side from the evident areas of using nanomaterials in the areas of biofuels, solar cells, and fuel cells, green nanotechnology applications might also involve a clean production process, such as producing nanoparticles with sunlight; the recycling of industrial waste products into nanomaterials. Waste valorization is the process of getting waste and converting it into useful chemicals that can be utilized, whose value is beyond the cost of the energy has needed to process the transformation. Waste Valorization states that any industrial processing activity targeted for reusing, recycling, composting from wastes, and sources of energy. It regularly takes the form of one of the following activities: processing of residue or by-products into raw materials, use of waste materials in manufacturing process stages, and addition of waste materials to finished products. During the past years, many market sectors like transportation biofuels, heat and power generation and charcoal production started focusing on new technologies able to transform low quality (no cost) materials in high value products. Reactions play the most major role in synthesis. The thought of Green Chemistry appeals for the development of new chemical reactivity’s and reaction conditions that can potentially provide benefits for chemical syntheses in rapports of resource and energy efficiency, product selectivity, operational simplicity, and health and environmental safety. Some of green reaction methods include atom economy where the reaction seeks to maximize the incorporation of the starting materials into the final product of any given reaction; flow reactors where importance to greener syntheses is the development of tandem and cascade reaction processes that incorporate as many reactions as possible to give the final product in single operation; In biocatalysis where the potential usefulness of various catalysts such as enzymes, whole cells, and catalytic antibodies for organic synthesis has become more recognized. Green energy is originated from natural resources such as sunlight, tides, rain, plants, wind, algae and geothermal heat. The above mentioned energy sources are renewable in nature that means they're naturally replenished. Renewable energy resources also have impact on the environment than the fossil fuels which produces pollutants like greenhouse gases as by-product which contributes to climate change. Green energy on the other hand utilizes all the energy sources that are readily available. Advanced renewable energy techniques have decreased the cost of solar panels, wind turbines and other resources of green energy. Different types of green energy includes solar, wind, hydro, geothermal, biomass and biofuels. Green chemistry approach towards the renewable resources can be made increasingly usable technically and economical. There is a broad range of spectrum for renewable feed stocks which includes trees, grasses, shrubs, marine sources wastes which is used for development of new, sustainable, low environmental encounter routes to produce useful chemical products, and biofuels. Green Engineering is defined as environmentally conscious about attitudes, values, and principles, combined with science, technology, and engineering practice, all directed toward improving local and global environmental quality. Green Engineering encompasses all of the engineering disciplines, and is consistent and compatible with sound engineering design principles. The field of green engineering follows the philosophy that designing and producing should minimize damage to humans and the environment, which will cause the products and processes to be more cost effective in the long run. Therefore, green engineering is actually a way to make many of the things people use in everyday life more efficient, safe, and long-lasting. As green engineering is a category of the field that many sub-sets fall under, green engineers come from areas such as industrial engineering, civil engineering, and electrical engineering. In fact, all engineers can utilize green engineering principles regardless of the specific area of engineering that they are focused on. The field of green engineering relies on certain principles such as minimizing waste and minimizing the use of natural resources that are not sustainable. Sustainable materials are those that are not easily depleted in nature. Green manufacturing is the restitution of production processes and the formation of environmentally-friendly operations within the manufacturing field. Basically, it is greening of manufacturing, in which we use fewer natural resources, recycle and reuse materials, reduce pollution and waste, and moderate emissions in their processes. Green manufacturers researchers have developed or utilize technologies and practices to decrease their impact on environment. Green technology is the application of environmental science, environmental monitoring, green chemistry, and electronic devices to monitor, and conserve the nature’s environment and resources, and to limit the negative impacts of human involvement. Green manufacturing is also used to describe sustainable energy generation technologies such as wind turbines, photovoltaics, Biofiltration, Bioremediation, bioreactors, Desalination etc. Green materials are defined as materials that are non-toxic, improve health, lower cost, and conserve energy and water use and waste products. Green materials are built from the field of green chemistry where the utilization of principles to decrease or eliminate hazardous substances in the process of design, manufacture and application of chemical products. Research in green materials looks to develop alternatives to traditional materials or processes that offer an environmental advantage. The attention of Green Materials relates to polymers and materials, with an emphasis on reducing the use of hazardous substances in the process of design, manufacture and application of products. Green materials are the materials that have low embedded energy in their harvesting or collection, production, transportation and use. Biomass can be converted into different forms of energy by using various processes. Many factors affect the choice of the process like quantity of biomass feedstock, desired energy form, environmental standards, economic conditions, and project specific factors. Biomass can be converted into power or heat generation, transportation fuels and chemical feedstock. Biomass conversion technologies include thermo-chemical conversion and biochemical conversion. In thermo-chemical conversion, energy is produces by applying heat and chemical processes. There are four thermo-chemical conversion processes which comprise combustion, Pyrolysis, gasification and liquefaction process where as bio-chemical conversion includes digestion and Fermentation. Life Cycle Assessment and related methods in green chemical process and synthesis design strongly supports the development of greener concepts. LCA in general, specifics to be considered during its application in the field of chemical designs and current application examples from emerging research areas such as active pharmaceutical ingredient manufacturing, nanotechnology, flow chemistry, process intensification under harsh synthesis conditions, process integration, waste treatment, the use of alternative energy sources or solvents as well as chemistry based on renewable resources. The method of Life Cycle Assessment (LCA) has been developed and is now established as one of the major tools for the analysis of anthropogenic environmental impacts. LCA is outstanding in its scope of applicability and its holism. It considers the whole life cycle of a product or process and evaluates environmental impacts in terms of various environmental impact categories that go beyond the consideration of mass or energy flows. 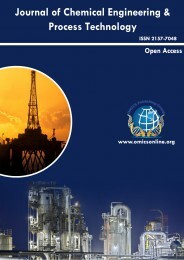 Recent case studies derived from emerging research areas such as active pharmaceutical ingredient manufacturing, nanotechnology, flow chemistry, process intensification by harsh synthesis conditions, process integration, and waste treatment, the use of alternative energy sources or solvents as well as chemistry based on renewable resources are presented, emphasising the usefulness and importance of LCA in today's green chemical design. In the chemical industry, molecular organic chemistry is undergoing a green revolution in order to avoid waste by developing a cleaner and safer chemistry. One of the major goals of organic synthesis is to design molecules with high added value by developing synthetic methods highly selective, economical and environmentally friendly. In this context, its research is focussed on the synthesis of biologically active molecules, developing new environmentally friendly synthetic strategies and more energy-efficient alternatives such as microwaves, ultrasound, photochemistry or biotransformation. We present here how various activation methods used for the preparation of several high-value compounds can dramatically enhance yields and selectivity. Several physicochemical activation techniques such as microwaves, ultrasound, biotransformation or photocatalysis are part of the green methodologies used for the synthesis of high added value molecules. The synthesis of molecules with diverse uses in medicines, agrochemicals and biomolecules are dealt with in organic chemistry. The basic concern of the industries producing such chemicals is the type of reaction involved and the percentage of yield etc., so that synthesis becomes cost-effective whilst minimising environmental pollution. Some of the new trends in green chemistry include Combinatorial green chemistry, Green Chemistry in Agrochemicals, Sustainable Flow Chemistry, Ultrasound Technology in Green Chemistry, Wood Products and Green Chemistry, Microwave induced and ultrasound assisted green synthesis. Green economy is characterised by a considerable increase in investment in sectors of economy creating and reinforcing the natural capital of the Earth or contributing to decreasing ecological deficiencies and environmental threats. These sectors include, in particular, renewable energy, low-emission transport, energy-efficient building, clean technologies, waste management improvement, sustainable agriculture and forest management and sustainable fishing. Agriculture Production processes, especially those that are intensive such as protected horticulture, degrade the environment to numerous extents. The protected horticulture sector is likely to use low toxicity products that will maintain the hygienic control of vegetables grown in protected environments (greenhouses, tunnels and padding). Growers need to combine good agricultural practices and standards of quality assurance, so food is healthy and attractive when consumed by the population. This presents a global challenge for the protected horticulture industry. One of the best approaches suggested for horticulture is the integration of new and environmentally, eco-friendly technologies such as innovative green chemistry, as part of a policy-driven approach to prevent and reduce the contamination. This strategy can be achieved by complying with the principles of green chemistry which promotes sustainability, efficiency and economy. 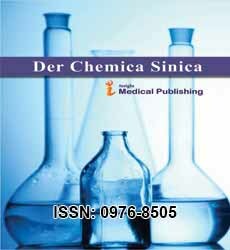 Use of peroxyacetic acid mixtures in liquid solutions meets all of the principles of green chemistry. It is promising to integrate green chemistry approaches in protected horticulture and food industry to release biodegradable components that do not pollute the environment. Society has entered the new century, the trend of economic globalization has become increasingly serious, and the environmental problems faced by all countries in the world have become increasingly prominent. In order to fully protect the ecological environment, and promote the green, environmental protection and sustainability of social and economic development, all the countries are vigorously carrying out research work on new energy sources. 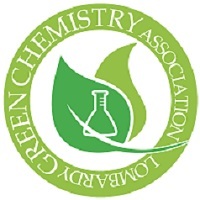 In the era of increasing chemical pollution, green chemistry and chemical industry came into being, and in the development of chemistry and chemical engineering, using the idea of "green", adopt green manufacturing methods, and paying attention to the training of talents in the field of expertise will be the main direction and goal of our country's future efforts in the field of chemistry and chemical engineering. Growing consumer awareness towards renewable chemicals and increasing environmental concerns are driving growth in the market. Green chemicals are known for their environment friendliness, providing base for sustainable chemical market. Since 2011, the industry is looking forward to find effective and economical expansion of green chemistry. Though over the years, applications in green chemicals have gained attention while majority still remains at laboratory or are at pilot scale level. The growth in green chemical industry is expected to be driven by bio based chemicals in the long run. In 2015, over 50 million tonnes of bio based chemicals were manufactured and this is anticipated to reach over 80 million tonnes by 2020. Application across various segments such as food processing, housing, textiles, transportation, hygiene, environment, and pharmaceuticals is anticipated to grow significantly over the next five years.. By 2020, green chemicals market is projected to reach over $100 billion, with CAGR of 11%. Our reports provide significant overview of the green chemical market, with respect to strategic analysis, regulatory framework, regional analysis, corporate portfolios and industry structure. The global market for green chemistry, which includes biobased chemicals, renewable feedstocks, green polymers and less-toxic chemical formulations, is projected to grow from $11 billion in 2015 to nearly $100 billion by 2020. This statistic displays the market size of the green chemistry industry worldwide in 2015, with forecasted figures for 2016 to 2020. The global renewable chemicals market size in 2015 was some 51.7 billion U.S. dollars, and it is forecasted that by 2020 it will be some 85.6 billion U.S. dollars. Green chemistry is the expansive discipline that is evolving in response to this wide array of challenges and, according to a new report from Pike Research, represents a market opportunity that will grow from $2.8 billion in 2011 to $98.5 billion by 2020. The Europe green solvents and bio solvents market is estimated to grow by the year 2024 to $2730 million from $1562 million in 2016. The market is expected to grow at a CAGR of 7.42% during the forecast period. The base year deliberated for the market study of the green solvents and bio solvents is 2016 and the forecast period is from 2017 to 2024. Replacement of harmful chemicals in many applications and rising applications and consumption of petrochemical products and derivatives are the factors responsible for the growth of green solvents and bio-solvent market in the region. The countries analyzed in the Europe green solvents and bio solvents market are UK, France, Italy, Germany, Spain and rest of Europe. The high price of development is the biggest barrier faced by the green solvents and bio-solvent market in the Europe region. The Northern Netherlands is uniquely positions to develop a green hydrogen economy because of its large-scale green electricity production (especially offshore wind), its knowledge infrastructure, its large-scale chemical cluster, its importation of green electricity and its existing gas infrastructure, which can be retrofitted easily and cheaply to transport green hydrogen. By 2050, the Netherlands is aiming to achieve a carbon emission free economy. The total investments for the development of a green hydrogen economy in the Northern Netherlands up to the year 2030 are estimated to be between 17.5 and 25 billion euros.